Total records in each table is given. total publication links for reference. 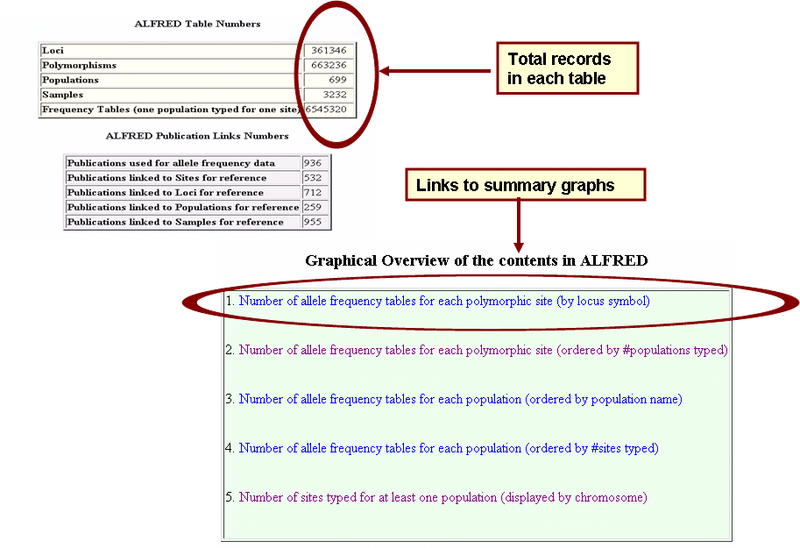 Graphical overview of the contents in ALFRED.